Click here to learn about how to get a job with an airline. So you want to live in the middle of the ocean, see the world's most glamorous ports, and get paid for it? Those in with a chance will be outgoing, friendly, willing to work their fingers to the bone and live in constant proximity to other people (you'll share a tiny cabin with up to 3 people). Getting a job in the cruise industry is a bit tricky for South Africans, as the cruise liners are all based overseas, and one needs to avoid the scams that do the rounds with fake jobs, scumbags trying to take advantage of those who are desperate for work - do not use an agency which charges fees for its services - this is a sure sign of a scam. Apply to a cruise line for a job on one of their ship. Apply to a concessioner for a job on a ship. A concessioner is a company contracted to operate a spa, retail shop or entertainment on the ship. Most cruise companies have websites where you can search for and apply for jobs. Click here, to search for jobs, and create a profile. Click here to check what jobs are available and to create a profile. These 3 cruise lines club together for job purposes. Click here to see their career page. Click here to find available Royal Caribbean jobs, and apply for one. There is also a Royal Caribbean Careers Facebook page, a Twitter page and a LinkedIn page. Alternatively, phone +1 305 539 3920. Click here for more info. Applications can be made through Cruise Alternatives. Click here to see their jobs page. Apply via Blue Ensign agency - see details below. Virgin Voyages is launching their cruise line in 2020, to cruise in the Caribbean. They have set up a job portal, so navigate there to begin working with them from their beginning. They are the agents in SA for Cunard, Holland America, P&O Cruises, Princess Cruises and Seabourn. Email your CV, a copy of your passport and relevant certificates as well as two references to info@blueensign.co.za. For more info phone 021 556 7658. Blue Ensign are based at number 21 Blaauwberg Road in Table View, Cape Town. For those who are members of the medical fraternity. Email russell@shipsdoctor.co.za or phone 082 376 1175. Specialises in hospitality job; hiring for Holland America Lines, Seabourn Cruise Line, SeaDream Yacht Club, Norwegian Cruise Line and Crystal Cruises. Click here to see the latest jobs they have available. They also have a Twitter page (in the name of Samantha Hurley, the owner) and Facebook page - these social media pages are well worth looking at, as additional jobs are listed there which are not listed elsewhere. Email them at cruise@grisa.co.za. Whilst they are based in South Africa; they also take applications from Namibia and Zimbabwe. If you receive no reply after a few weeks then contact them again sending a thank you and follow-up letter. Getting hired is often a matter of persistency. Interviews normally take place in Cape Town or Johannesburg. Cruise related jobs cover the full monty of careers. Note that you will have to apply for a particular job, as the "I'm willing to do anything" approach doesn't work. So, start off by deciding which job you want to do (which usually comes down to what you're most qualified for). The entertainment team hosts a variety of activities with the passengers - from trivia games and informative presentations to exercise classes and DJ'ing at the disco. Those working at the kids' clubs (for guests up to the age of 17) may also fall into this category. This is a crucial role, as if the kids aren't happy, the parents wont be happy either. A minimum of 2 years experience would typically be required for this job. The entertainment team reports to the Cruise Director (aka "cruise activity director" aka "cruise ship director"). 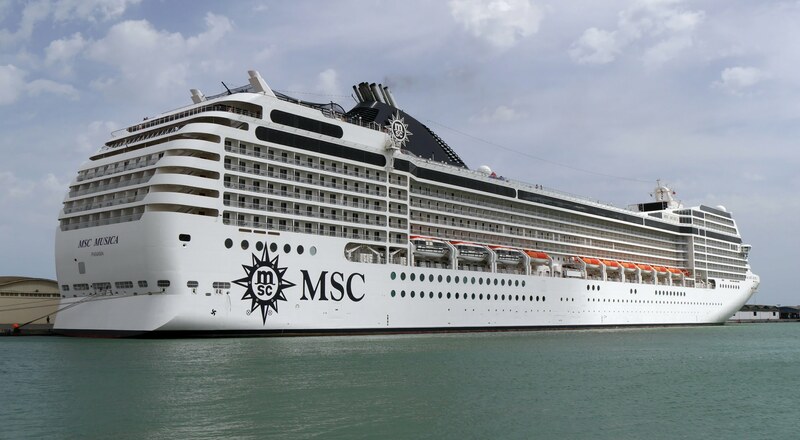 The Cruise Director is expected to perform each voyage and to organise an entertainment program to ensure the guests are having fun and satisfied. The Director will be expected to interact with passengers and handle their complaints. This job suits somebody who enjoys being in the middle and leading the entertainment. Being fluent in other languages additional to english, helps. With so many different ports and the need to ensure that passengers are 100% satisfied with their excursions, a quality shore excursion team is required. You may want to work as a dealer (e.g. blackjack, roulette), a slot technician or cashier. Navigate to www.oceancasinojobs.com - they represent AIDA, Carnival Cruises, Costa, Cunard, Holland America, P&O Cruises, Princess Cruises and Seabourn. You'll be required to have at least a year's experience and be at least 21 years old. Click here to see when the next interviewing cycle is in South Africa. get a qualification from a hotel, chef or catering school. Fun fact: most cruise ships have over 100 chefs on them. Think nurses, paramedics and doctors. Yes, people on cruises get sick too! Think jewelery, watches, fragrances, cosmetics, handbags, apparel, sunglasses and liquor sales. Positions include the likes of jewellery sales specialists, fragrance consultants, sales assistants, cosmetic consultants and watch sales specialists. To become a "shoppie" (this is what the retail staff on a ship are known as) you'll need to have at least 2 years experience in retail, be able to take inventory, and be good at working with customers. Being able to talk multiple languages is an advantage, as well as having a degree on your resume. If you've been at sea before and have the relevant experience, you may want to take a job as a manager or trainee manager. Harding Retail are hired by some cruise companies to run the retail shops on their ships. They offer a service to Azmara Club Cruises, Carnival, Celestyal Cruises, Cunard, Fred Olsen Cruise Lines, Louis Cruises, Oceania Cruises, P&O Cruises, Regent Seven Seas Cruises, Royal Caribbean International, Saga, Seabourn, Swan Hellenic, Thomson Cruises, TUI Cruises, Viking, Voyages of Discovery and Voyages to Antiquity. They offer a wide variety of brands including Cartier, Clarins, Fossil, Gucci, Mont Blanc, Ray-Ban, Swarovski and Tissot. Click here to apply for a job with Harding Retail. Your application will be processed by their team in Bristol. On average you can expect to get off at 2 ports out of 3. Applications for a job as a shoppie which are sent to a cruise company will usually be forwarded to their concessionaire (that's not to say you shouldn't send to them anyway, as it gives you another chance to get your name in front of everybody). If you're chosen there will probably be a short course to attend. Salaries are target and commission based, which means that there's a lot of volatility in earnings. Responsibilities include cleaning rooms, public areas, doing laundry and moving baggage. To get this job first get experience in the hospitality industry and ensure your communication skills are up to scratch. Jobs vary from masseuses to personal trainers, nail technicians, barbers, receptionists and hairdressers. Passengers can enjoy facial therapies, acupuncture, massages or fitness training. Whilst not attending to passengers, expect to spend time marketing your product and taking inventories. Navigate to www.theonboardspa.com - they represent Carnival, Disney Cruise Line, Princess Cruises, Silversea, The Yachts of Seabourn, P&O Cruises, Holland America, Royal Caribbean, Costa Cruises and Windstar Cruises. Click here to find their application form. Find out when there are interview dates in South Africa. The regional managers are Nadine Brits (email nadineb@theonboardspa.com or phone 079 5285 161) and Daniella Diem (email Daniella.diem@theonboardspa.com or phone 071 497 3797). The spa is usually found near the top floor of a cruise ship. The amount you'd earn is based largely on tips and commission. Even the ship's Captain falls in this category! Think safety, navigation of the ship and maintenance of equipment. This includes propulsion systems, air conditioning, power systems and entertainment support systems. For example watchkeeping officers ensure that the boat is safely navigated (and no Costa Concordia incidents! ), there are plumbers, engineers and electricians. Yes, you even get HR staff on board the ship. They'll implement the shipping line's HR policies with the onboard staff. A bachelors degree in HR will help you get this spot, as well as any relevant experience. Think maintenance of servers, networks and computer systems (including desktop). A minimum of 2 years relevant experience would be required, together with the appropriate academic qualifications. Selling photographs and videos is a big money spinner for cruise lines - they're sold at high prices, but it's difficult to say no to the purchase if the Mrs has her heart set on these mementos. To get this gig you should have at least a year's experience in photography and the relevant computer skills. There's no space to spare on a cruise ship. Your new home will be a small cabin at the bottom of the ship with no windows, and shared with up to 3 people who might snore at night. The cabin will typically have a shower, a TV and a storage cupboard. You'll be required to keep that cabin spick and span. The people in the cabin may not be the type of people you'd normally hang out with. There are 3 main categories of staff: "crew", "staff" and "officers". Only the officers and staff may be in guest areas when they're not on on the job, and socialise with guests. However, you will be fired if you date guests, but you may date members of the crew (who are often younger, better looking and more vivacious), although an unwritten rule is that you may not date officers with a higher ranking. Expect to work very hard! Crew members work 7 days a week, and about 11 hours per day (usually a maximum of 14 hours) - this is not a holiday. Ships purposely fly flags of convenience, and there are few workers' rights. You are not cruising - even the term "cruising" is used to describe somebody who is slacking on the job. Having said that, if the job has been done properly, then your manager may give you some time off. You'll be required to attend every safety drill. Meals are free, as is the accommodation. Meals are eaten in the staff dining area (better known as the "crew mess"), and are buffet style. Ships tend to follow the sunny weather, perfect for those who want to permanently be out of the cold and rain. Being away from it all for so long and surrounded by people from all walks of life and all over the world, gives one a chance to reflect and put life into perspective. Go to the crew's special jacuzzi/pool, play table tennis, pool or pump iron at the gym. There will probably be wireless internet (at a fee) to stay in touch. There are regular crew events such as poker nights and karaoke. Crew parties, with free booze if you're lucky. If you get free time, then sometimes the shore excursions are offered free to staff. Cruise ship staff are male dominated (client-facing roles have more females), with about half the staff being younger than 30. It can take up to 3 weeks to get used to life onboard. If, after 3 weeks, you're not enjoying it yet, then this probably is not the life for you. If you leave early then you'll have to pay for your own way back (if you finish your contract, usually the cruise line will then pay for your plane ticket back). Are you 21 or more years old? Do you have any tattoos or piercings which are publicly visible? You'll have to pass a medical examination. Would you like to go work on a cruise ship together with your partner? The bad news is that this is difficult to get right; as for one thing each applicant is considered on her/his own merits. A typical contract on a ship lasts for 6 to 8 months, depending on the operational requirement. During the contract you'd usually be on one specific ship (which you may well find visits the same destinations again and again during that period...so much for seeing the world!). You'd then get a couple of months leave, and if you've been up to standard you'll get invited back for another 6 to 8 month contract. In early 2017, Michelle Linger from PE, was scammed out of R14,000; by a company purporting to be representing Princess Cruises Australia, in SA. She received an email informing her about the job, applied, and a while later received a contract which she signed and returned. She was then sent an AU Visa 187 application; and then was told that she had to pay R4000 for an Australian Foreign Intelligence Certificate. She was later told she had to pay another R10,000 for a residence visa. Their next step was to tell her that R20,000 was required to be deposited for living expenses, telling her that her travel documents would be cancelled if she didn't pay.